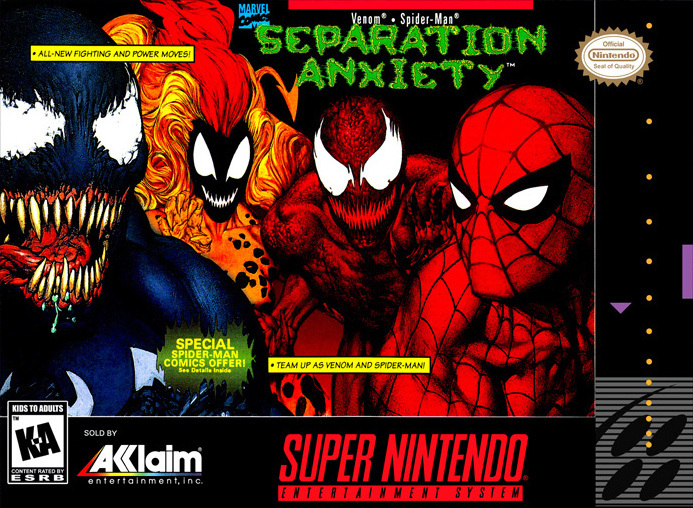 Spiderman Venom Seperation Anxiety for Super Nintendo enables the two rivals team up to take on an evil force that threatens humanity. After Venom is split from his living costume, five deadly alien Symbiotes are spawned and the only way to bring them down is to join Spider-Man and battle them as a unit. You'll take control of both heroes as you fight to save the planet from this potential deadly alien invasion. For 1-2 players.